How to Make an Informed Decision to Learn Yoga in India? Home » learn yoga in india » traditional yoga » yoga classes in India » yoga in Rishikesh » How to Make an Informed Decision to Learn Yoga in India? Yoga has become one of the main attractions for people across the globe as they would want to have a stable physical and mental health. India, for many centuries, has been the hub of learning and practicing authentic yoga. Hence, if you intend to learn yoga you need to look out for the best yoga schools available in India. Many yoga schools have their own website and therefore you can start browsing the internet. Here are few focal points that can help you to make a more informed decision to learn yoga in India. 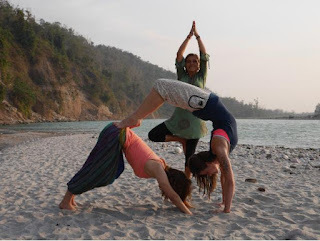 Qualified Teachers – You gain a lot of knowledge through the yoga teachers and therefore always look for yoga classes in India that have a diverse range of highly educated yoga teachers that are passionate about imparting yoga education. Teaching Methodology – How you learn different yoga postures and techniques is also an important factor to consider. You should have a combination of theory and practical training where you get an opportunity to demonstrate and lead the class as you gain confidence from it. Curriculum – Your traditional yoga training must cover all aspects of yoga that would help you to become a competent yoga teacher in the near future. The program must include shatkarmas, mudras, bandhas, asanas, yoga nidra, pranayamas, meditation, and yoga philosophy and Ayurveda knowledge. Certification – It is important that your certification is valid globally. 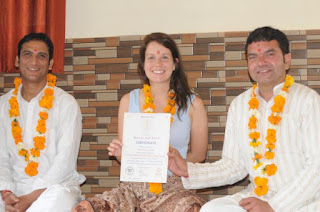 Kaivalya Yoga School is registered with Yoga Alliance and Yoga Alliance International and is a recognized yoga school to learn yoga in India for those who want to make their career as a certified yoga teacher.